Deb Plotkin’s journey to the founding of U-TOUCH, an organization that brings computer technology to the people of Northern Uganda, began when she was just four months old with a knock at the door of her family’s home. An officer had come to tell her mother that Deb’s father, a loving, compassionate man, had been shot and killed in an armed robbery. The loss of her father instilled in Deb a desire to search for meaning and purpose in life, and also fostered a sense of connection with all isolated children, particularly those who’d lost a parent. In 2005, Deb heard Sister Pauline Acayo speak at UCSD. Sr. Pauline told of the violence in Uganda, particularly that associated with the Lord’s Resistance Army, which often forced children to become soldiers, and also was involved in a conflict that resulted in the displacement of thousands of Ugandans. Deb and her daughter began raising funds for the Uganda Education Fund, which provided the means for Ugandan children to attend school. 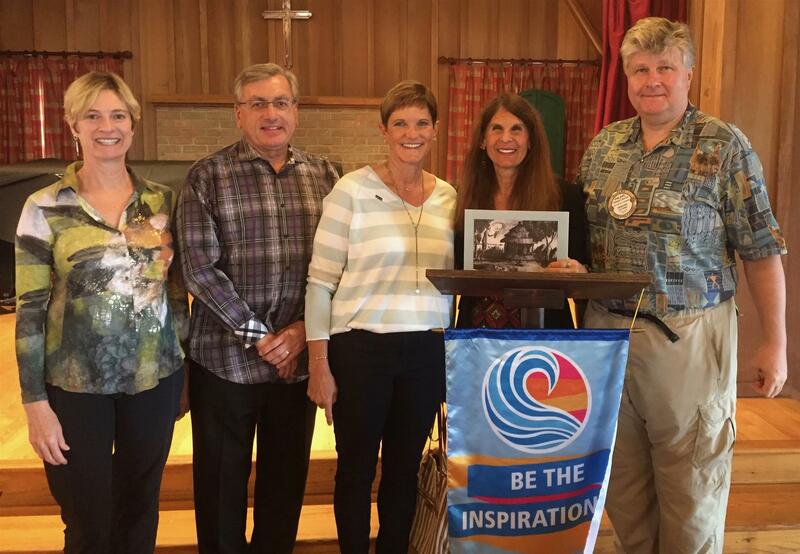 Although Deb and her daughter, together with students at La Jolla High School and Muirlands Middle School, raised more than $75,000 to support the education of individual children in Uganda, Deb felt the need to provide sustainable resources that could provide life-long benefits to Ugandans. In 2010 she founded U-TOUCH as a 501(c)(3) organization to provide education in computer technology. Through programs such as the Microsoft Digital Curriculum in which students gain expertise with the Microsoft Office suite, U-TOUCH students build their computer skills. Having learned the fundamentals of Information and Communications Technology (ICT), U-TOUCH students can expand their skills to include web design and internet connectivity, as well as learn how computers can facilitate business development. U-TOUCH also emphasizes the important role of women in economic development through its Women’s Empowerment (WE) Program- a month-long course that that challenges traditional gender roles and helps women develop leadership and life skills, as well as tools needed to found their own businesses that allow these women to support themselves and their children. Since its founding, over 5,000 Ugandans have obtained Microsoft Digital Literacy certification at one of 5 U-TOUCH digital centers in Northern Uganda. Its graduates see an increase in their income of up to 200%. Deb began her talk with the statement: Brilliance is equally distributed, but opportunity is not. The many success stories of U-TOUCH students illustrate the brilliance of these students that shines when they’re given the right opportunities. Learn more about U-TOUCH at their website (created by a U-TOUCH graduate) and consider attending their upcoming event, Gala for Giving Hope, to be held in Del Mar on Sunday October 14 at 3 pm. The gala will raise funds to support U-TOUCH activities.